8. American Hustle: Batman, Lois Lane and Katniss screw over Hawkeye. 7. Captain Phillips: Woody’s ship gets hijacked by pirates not of the Caribbean. 6. Dallas Buyers Club: The Lincoln Lawyer battles AIDS with help from the 30 Seconds to Mars guy. 5. 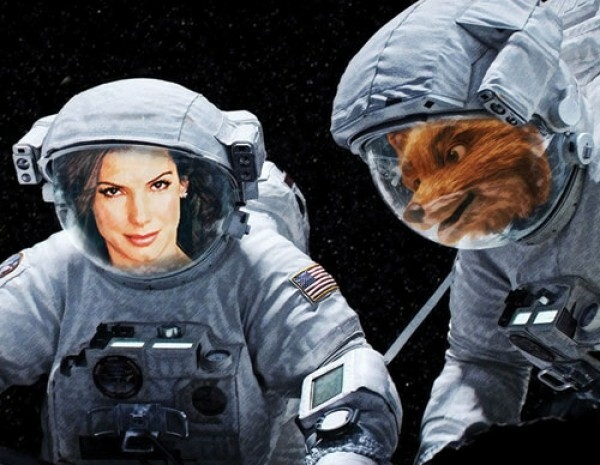 Gravity: Miss Congeniality is lost in space with Fantastic Mr. Fox. 4. Her: Johnny Cash falls in love with a computer, voiced by the Black Widow. 3. Nebraska: MacGruber and Saul Goodman try to put Frank from Big Love in a retirement home. 2. Philomena: M reconnects with her long-lost son, Alan Partridge. 1. The Wolf of Wall Street: The Great Gatsby makes piles of money and cocaine with “Jonah Hill” from This Is the End.